Car buying doesn’t stop at the showroom. Cowboys Automotive is committed to ensuring you have a safe reliable wheels & tires for years to come. 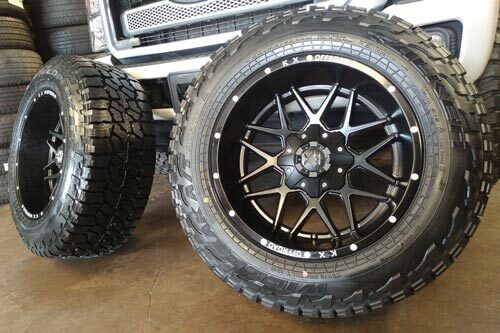 Whether it’s some basic OEM Factory wheels or a major LIFT/LEVEL Kit with mean aggressive Beautiful looking Off-Road Wheels and Tire packages, our team of expert service technicians at HOTIRIDE WHEELS is committed to providing you with exceptional Wheel&Tire service all year-round. Our Wheel & Tire service and repair center is stocked with state-of-the-art High Premium Quality Factory/Aftermarket Products and repairing equipment, so we’re prepared to service nearly any vehicle that comes into our shop. 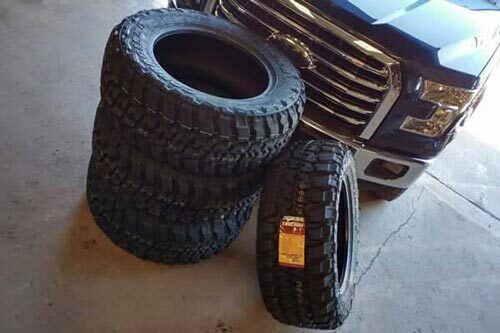 So, whether you just need a simple tire patch, or a full mount and balance on some extremely wide Off-Road wheels and tires, you can count on Hotride Wheels to help you get you back on the road Looking Mean and Aggressive with a whole new Stylish Up-to-Date MAKE OVER on your Vehicle in a quickly, safely manner and not to forget for a great price! At [HOTRIDE WHEELS], we promise to always provide you with dependable, quality service at an affordable price. 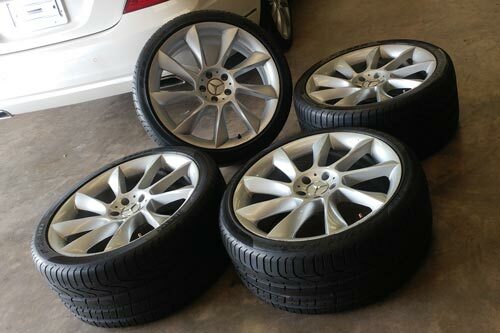 We’ll work tirelessly to ensure your car is fixed up with new or used wheels/tires right and on time. We know you have a busy life and a busy schedule. That’s why our team of expert technicians will get your vehicle up-graded with tires or wheel/tire packages safely and quickly—so you can get right back to your normal routine. Our team of expert certified technicians is thoroughly trained to handle all vehicle’s different wheel and tire sizes. No matter what you need, our team can help get your car/truck in a whole new different look. All wheels and tires serviced at [HOTRIDE WHEELS] go through a thorough inspection after being serviced. We’ll ensure your car or truck is completely ready for the road or OFF-ROAD before leaving our service center.